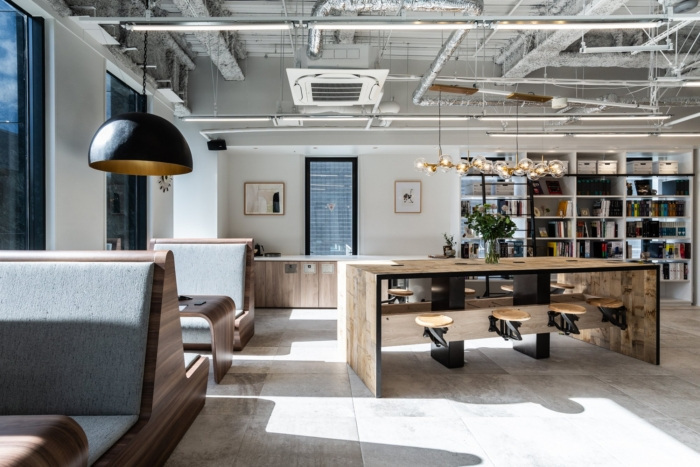 DRAFT Inc. has opened the doors to their second location using the same furniture and materials as their Tokyo head office while giving the Osaka space its own color scheme, layout and art selection. 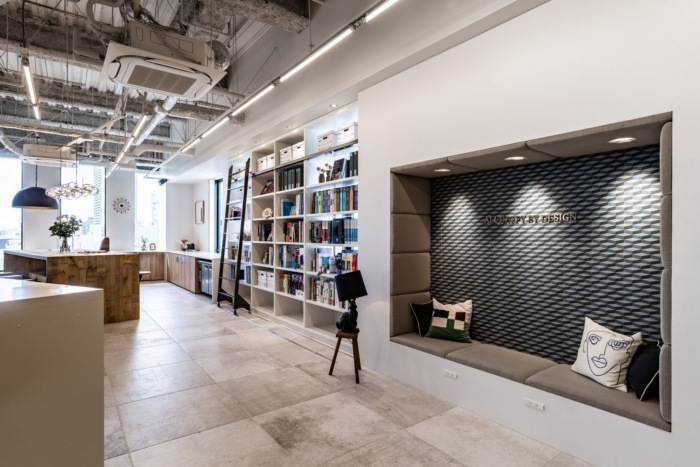 DRAFT Inc. has completed the design of their offices located in Osaka, Japan. The design uses the same furniture and materials as the Tokyo head office while experimenting to create a different design by changing the color scheme, layout, and the use of light. In contrast to the Tokyo office, where the emphasis is on the floor and wall materials, the Osaka office is a simple space with white walls and concrete, colored by art and products. Bold diagonals have been deployed against the square building in the office area to ensure space is not too monotone. The “blank space” is brought to life with art and furniture. The entire space is vibrant and expansive. Height differences are used between fluorescent lights and pendant lights for a simple and balanced spatial composition.